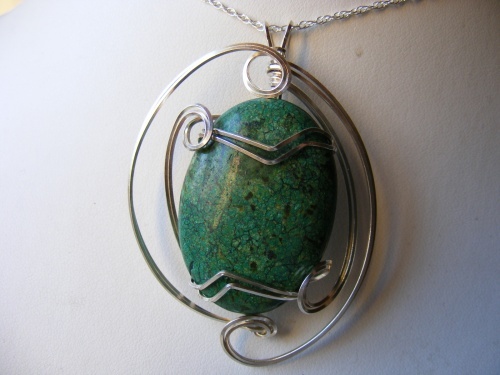 This very pretty green turquoise gemstone is sculpted in argentium silver so it wont tarnish as easily. Measures 2 1/4" from top to bottom and 1 1/2" wide. Comes with a sterling silver chain.